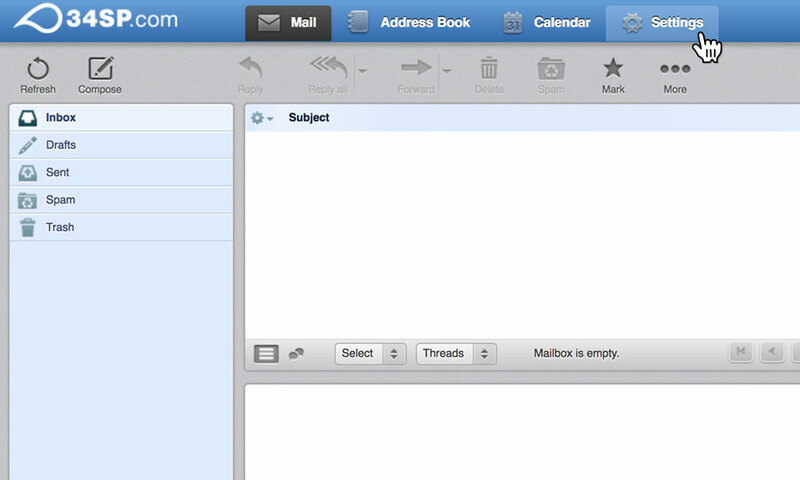 This is a quick step-by-step walkthrough for updating spam filter settings via the webmail interface. Once you have logged in, click on the 'Settings' tab. 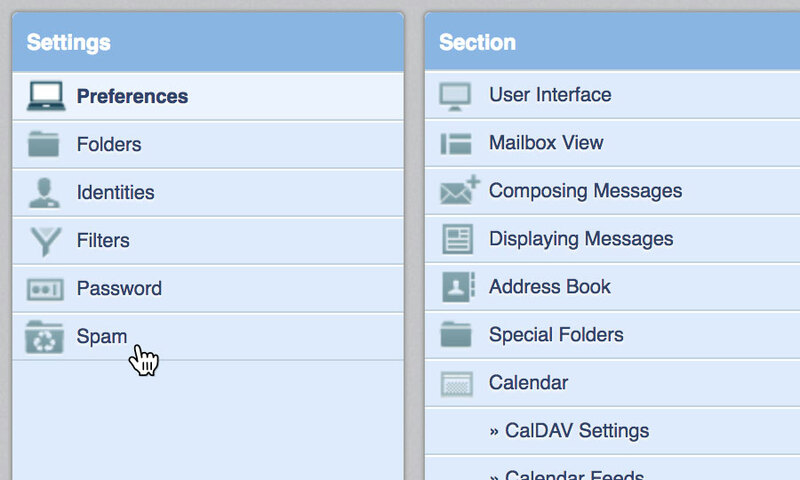 After you have clicked on the 'Settings' tab, you will be presented with a list of options. Please click on the option labelled 'Spam'. After you have clicked on the 'Spam' option, you will be presented with another list of options. Please click on the option labelled 'General Settings'. This will bring up a form. 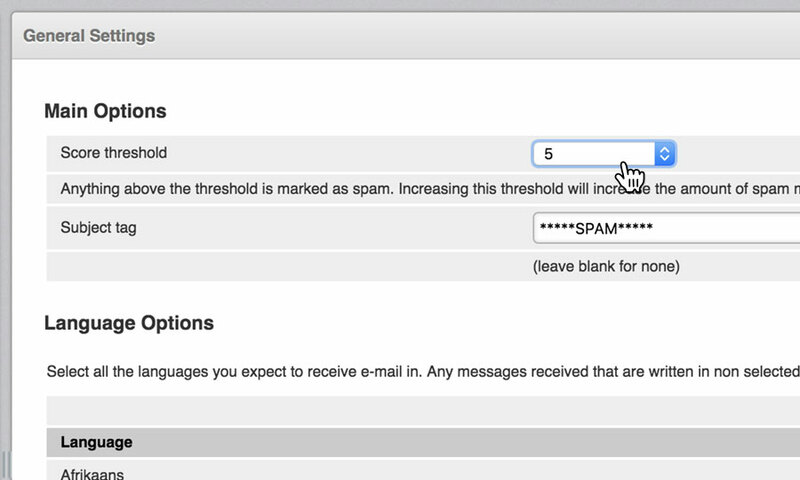 Choose your threshold score from the dropdown labelled 'Score threshold' if you wish to make the general spam filtering more or less aggressive. The lower the number, the more aggressive the filtering will be. When you're done, click 'Save' to save your changes. 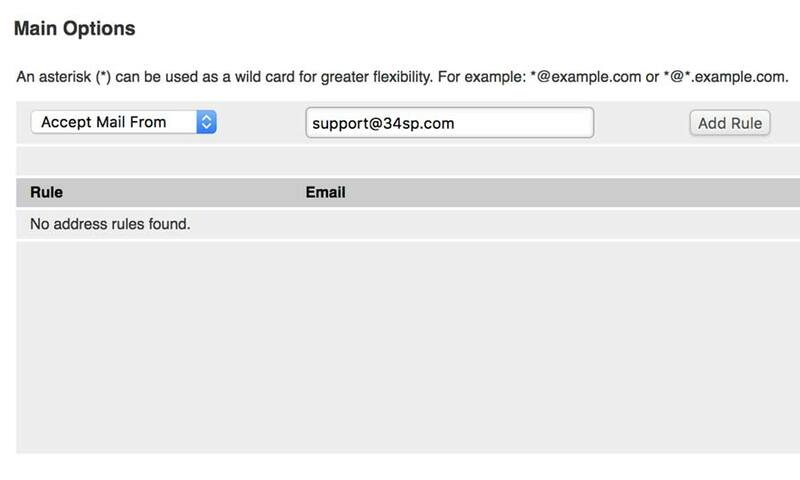 If you wish to blacklist or whitelist a specific email address, simply click on the 'Address Rules', when viewing the 'Spam' options. This will bring up a form. 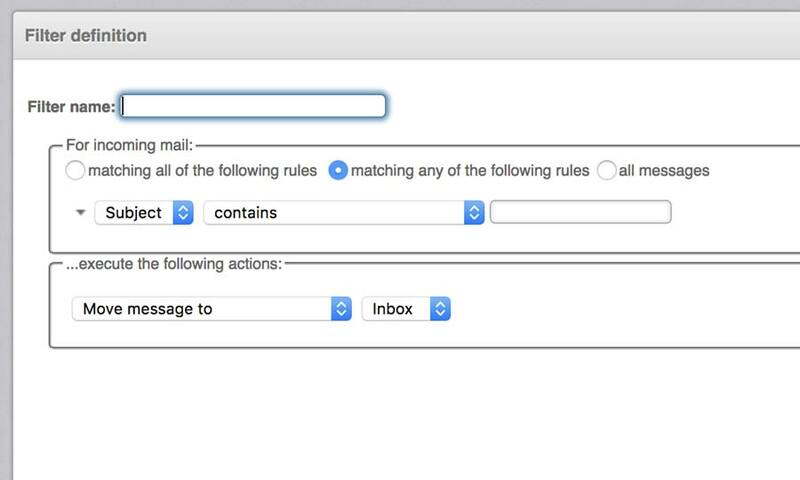 Create your rules using the dropdown menu to either accept or reject mail, then enter the email address you wish to accept/reject into the adjacent form. If you wish to automatically delete spam, simply click on the 'Settings' tab. 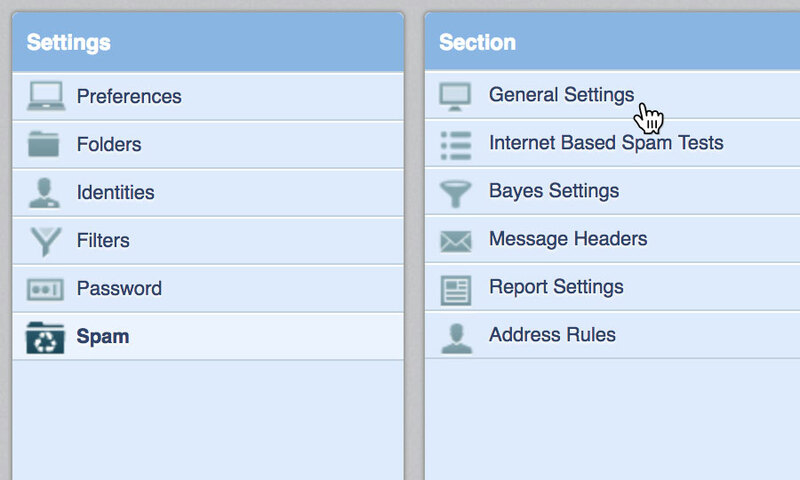 After you have clicked on the 'Settings' tab, you will be presented with a list of options. Please click on the option labelled 'Filters'. 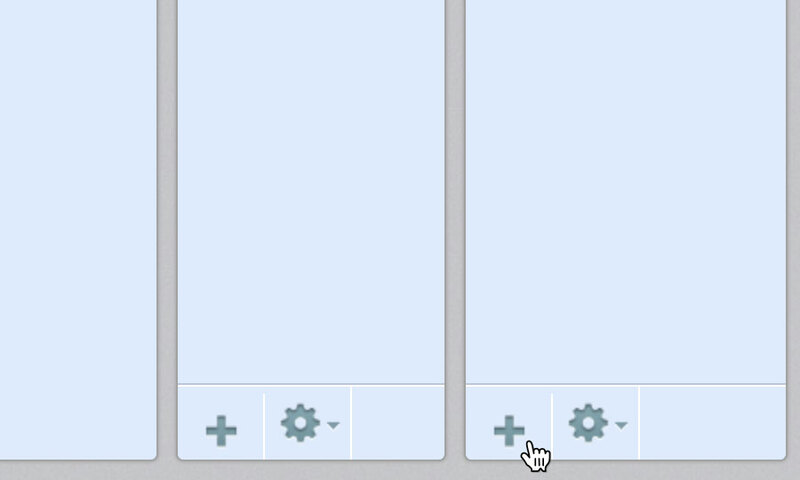 This will bring up 2 columns, labelled 'Filter Sets' and 'Filters'. Navigate to the bottom of the 'Filters' column, and click on the plus (+) icon. This will bring up a form. In the 'Filter Name' field, give your filter a name such as 'Delete-SPAM'. Under the fieldset labelled 'For incoming mail', click on the checkbox labelled 'matching any of the following rules'. 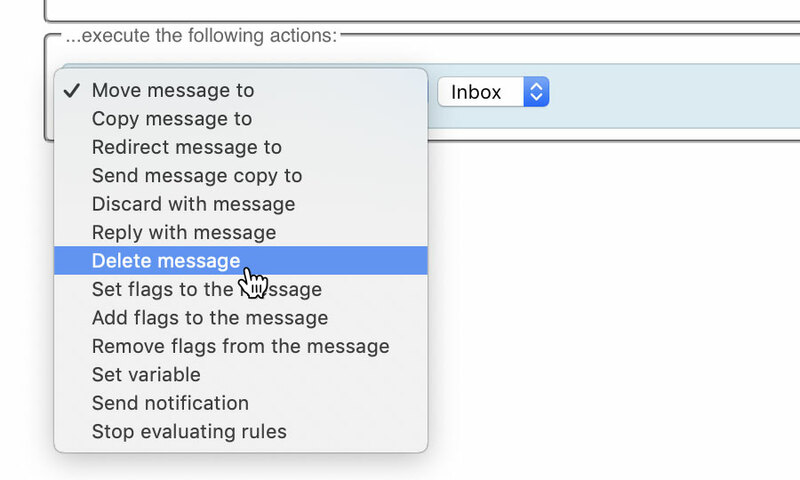 Under the fieldset labelled '...execute the following actions', click on the first dropdown menu and choose 'Delete message'.